Dr. Jaimi e Hoffman currently serves as an adjunct faculty member at CSU Channel Islands, CSU Northridge, Messiah College, and Salem State University teaching face-to-face and online courses in assessment, communication, diversity, and leadership to undergraduate and graduate students. 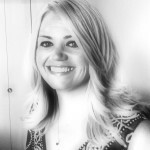 Additionally, Jaimie works as a part-time Special Consultant for Assessment and Strategic Operations for the Vice President for Students Affairs office at CSU Channel Islands where she assists with division-wide assessment and training initiatives. Jaimie received her Ed.D. in Leadership from the University of California Los Angeles; her research interests include assessment in higher education, leadership development among college students and use of technology for advancing student learning and meeting student needs.